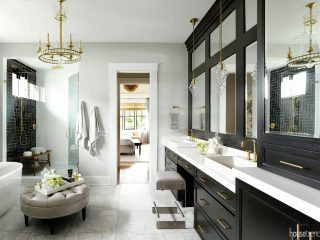 Creating a neutral interior with a slightly dramatic flair, Tricorn Black paint is offered by Sherwin-Williams. 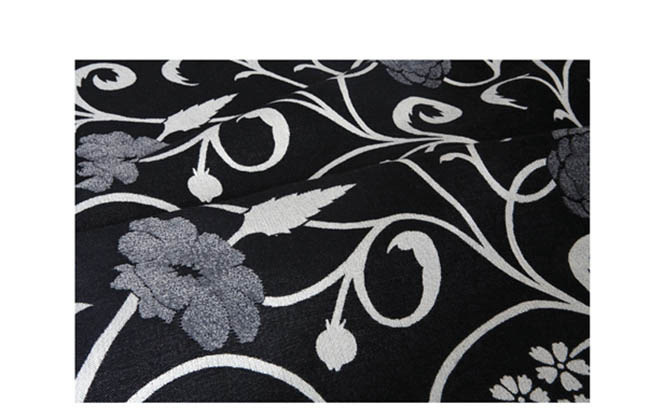 Black used in your home exudes the same cachet that a little black dress bestows on its wearer. 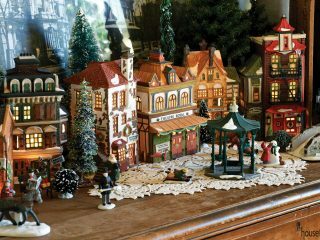 A little goes a long way, but a lot can be striking. 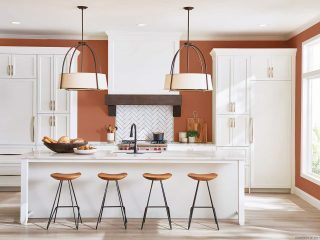 It’s deep, mysterious, sophisticated—and provides a perfect counterpoint for almost every color, from jewel tones to metallics to whites. 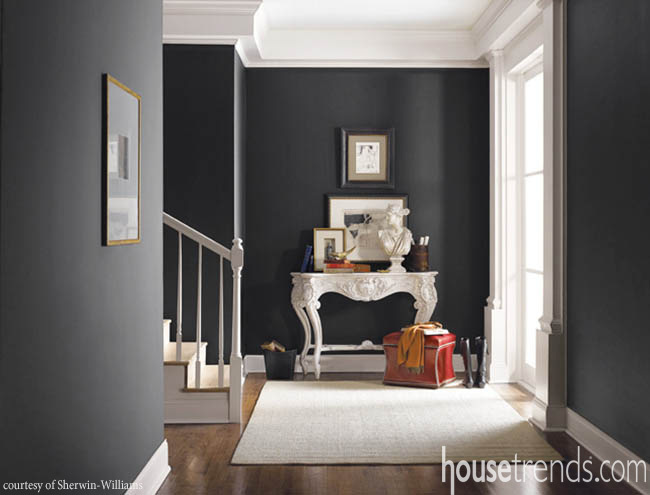 Tricorn Black SW 6258 paint from Sherwin-Williams. 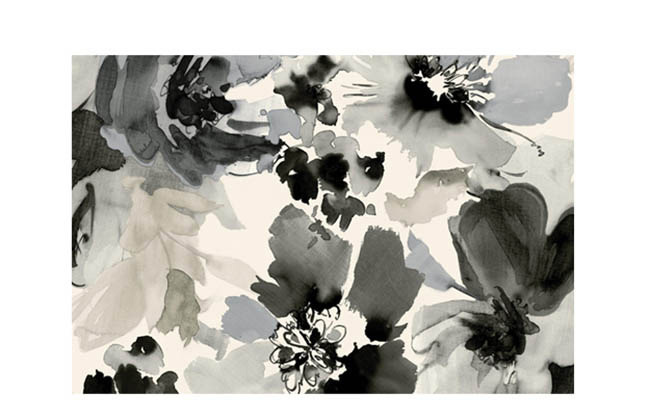 Toss the Bouquet wallpaper, Risky Business II Collection from York Wallcoverings. 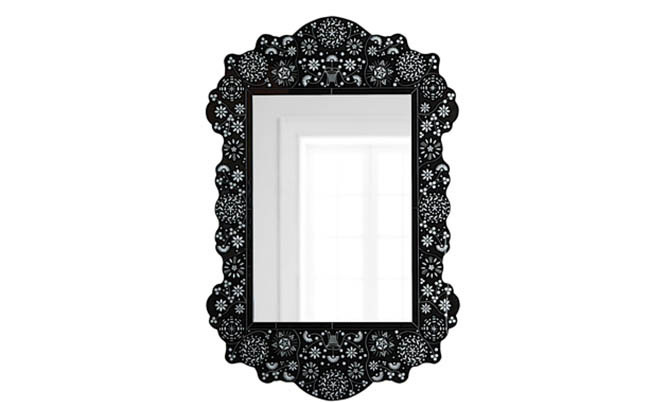 Luchessa Venetian mirror from Neiman Marcus. 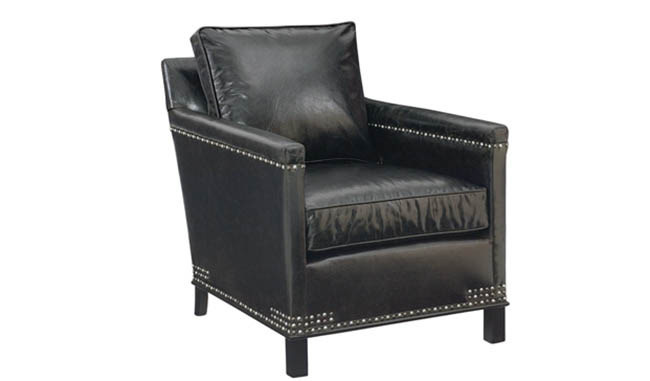 Gotham leather chair with nail cuff (L5535) in Cowboy Coal from CR Laine. 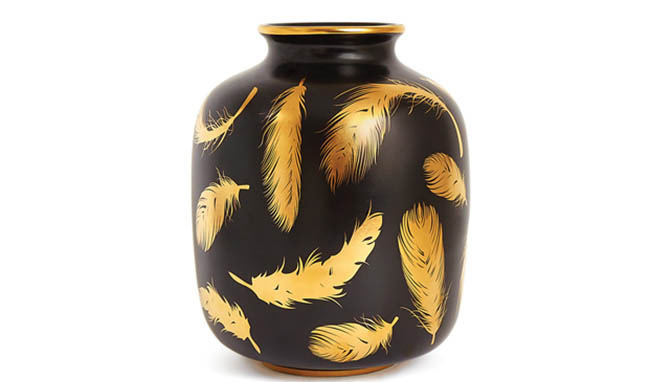 Futura Feathers vase from Jonathan Adler. 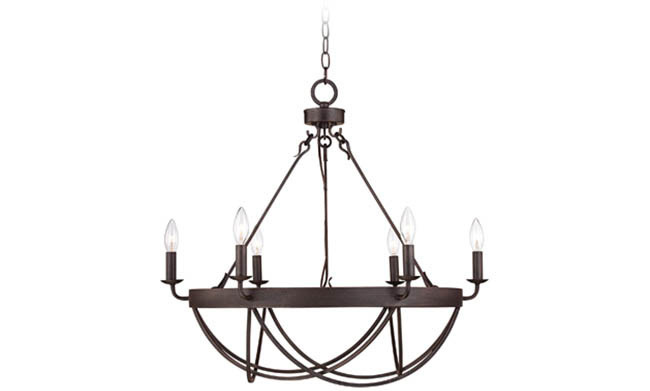 Lyster Square chandelier from Lamps Plus. 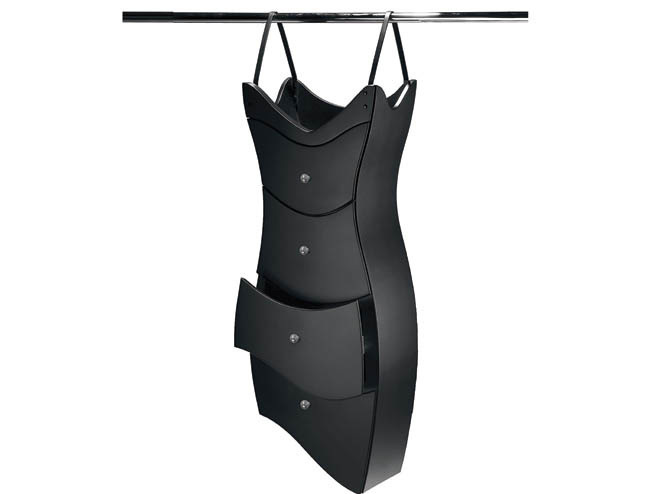 Litlle Black Dresser with Buttons by Judson Beaumont from Straight Line Designs. 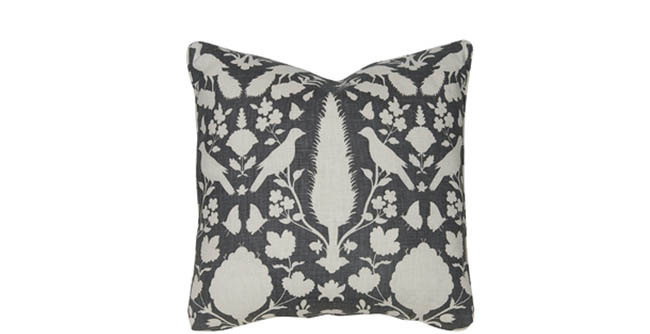 Throw pillow (TP22) in Chenonceau Charcoal by Schumacher from CR Laine. 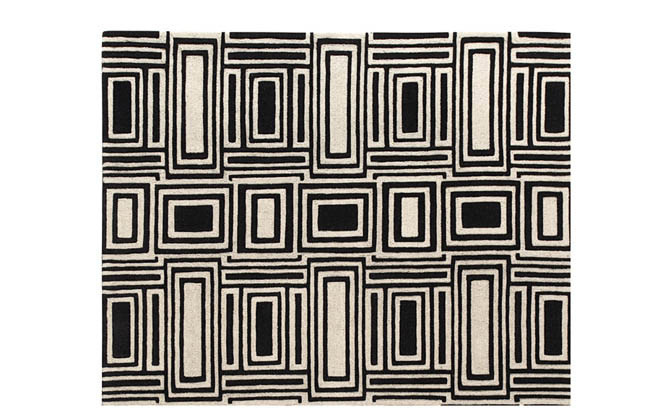 Eli area rug from Angela Adams. 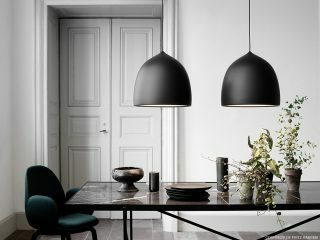 Ceramic Collection dinnerware from Artemano. 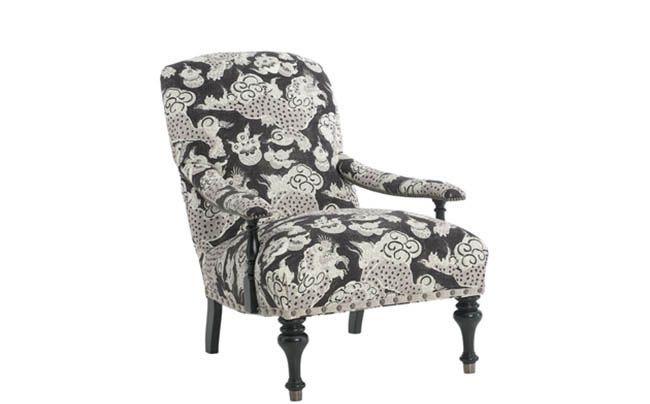 Aledo chair (1665) in Foo Onyx fabric from CR Laine. 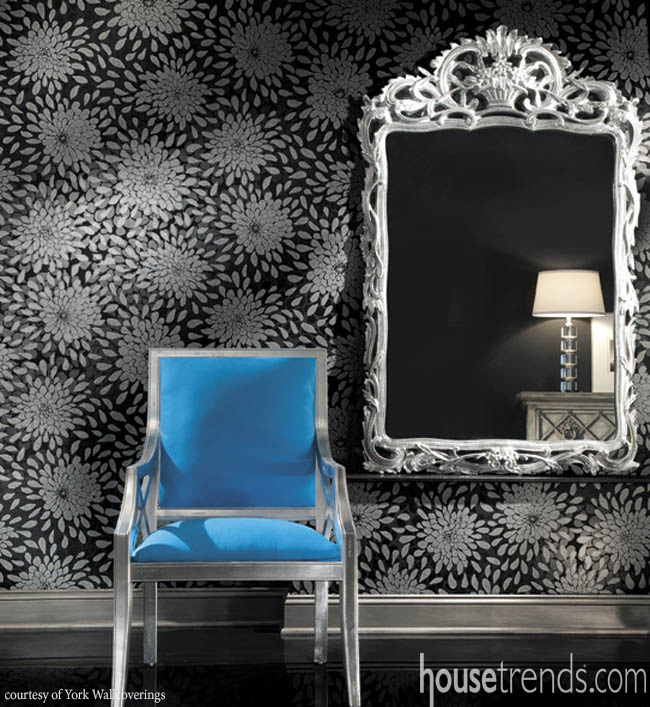 Aquarella wallpaper, Stacy Garcia’s Paper Muse Collection, from York Wallcoverings. 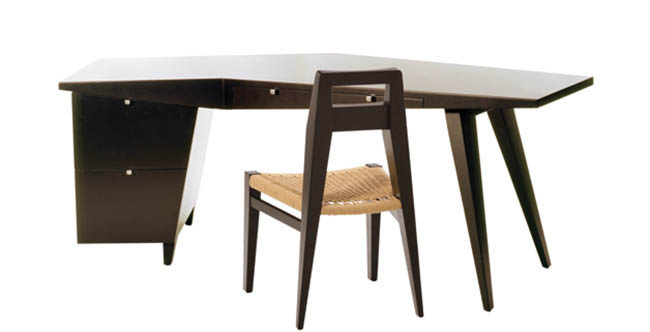 Blackbird desk set by Sherwood Hamill from Angela Adams. 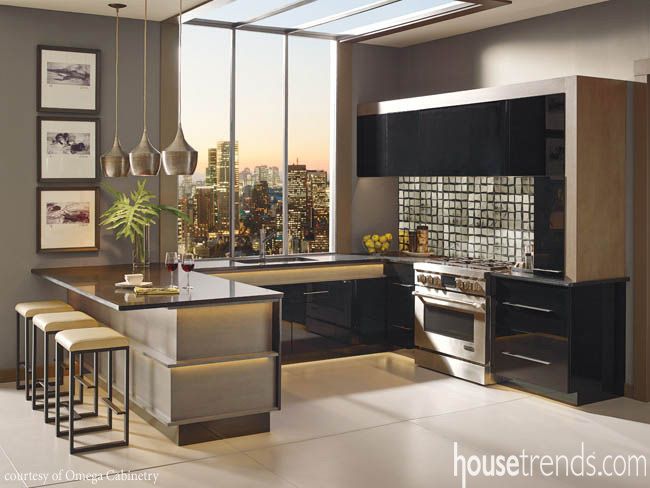 Ricci high gloss laminate cabinet doors from Omega Cabinetry. 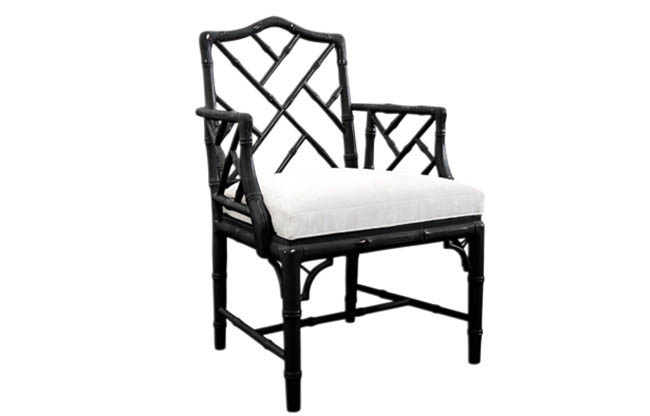 Chippendale arm chair from Jonathan Adler. 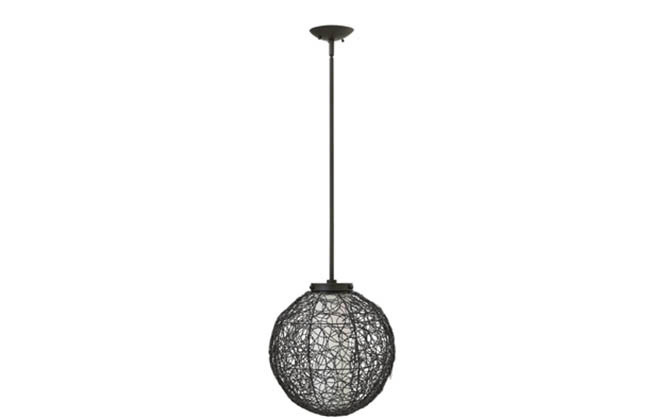 Spago pendant from Fredrick Ramond.